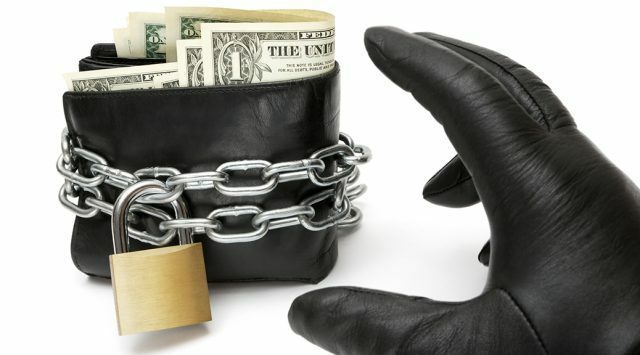 According to the IRS, tax fraud this season will hit a whopping $21 billion. For many fraudsters, tax season can mean intercepting important tax documents and fooling unsuspecting taxpayers to steal their money. 2) Someone will pretend to be with the IRS, claiming you owe back taxes and that an arrest warrant will be issued unless you pay the amount owed. So how can you protect yourself from these devastating scams that are costing people millions? File early. File your taxes early, especially if you are expecting a refund and keep an eye out for tax documents. Pick up your mail on a regular basis. Request electronic documents. Request your employer send your W-2 form electronically, instead of mailing it. Update your protection software. Maintain up to date virus protection software on your personal computer and encrypt or safeguard personal documentation, such as previous tax returns. Get credentials. If the IRS contacts you, obtain a call back number and agent information. Contact the IRS directly to see if the phone number and agent information is valid. Don’t give away personal information. Never give personal information over the phone, mail, or Internet unless you have either initiated the contact, or can confirm you know who is asking for the information. Don’t make payments over the phone or online. Don’t purchase any prepaid card or wire money without first verifying the validity of the person or organization that wants the funds. The IRS will not contact taxpayers via email, text or social channels to request personal or financial information. The IRS also does not call taxpayers with threats of lawsuits or arrests. In the event you are the victim of the above identity theft scams, the Federal Trade Commission has a website, www.identitytheft.gov, outlining steps to resolve tax related identity theft. Be sure to also obtain copies of your credit reports to ensure that other fraudulent accounts have not been opened in your name. If you have further questions or concerns about your account please feel free to call the FirstBank fraud department anytime at 800-964-3444. We have received several calls saying they were the IRS …we are aware there is a scam going on so have just hung up.. We got one last Thurs., we were not home and they left a message…that the IRS had an arrest warrant against us and we should call immediately. WE DID NOT CALL, BUT WE ARE FORWARDING THE INFO TO YOU. THANKS FOR THE WARNING. Thanks for sharing. We’re lad to hear that you did NOT call this fraudster back and that our blog post was a convenient source of information for you. Please report this incident to the IRS at the link we provide in the post: https://www.identitytheft.gov/. This post isn’t related to tax fraud necessarily but wanted to pass along. I got a text message from”@Colorado Bank” on Tuesday prompting me to go to a google site to update my security info. I did not visit the site when I saw that it wasn’t related to First Bank but it did catch my attention initially. Thanks for sharing! Sounds like a phishing scam to us. Certainly be aware of any company or government entity asking for you to verify your personal or security info. Any company that you have a relationship with should already have this info and shouldn’t be asking for you to verify it. True enough. Never, never, EVER click on any link in an email you receive, ever. If you have a message from your bank or any account, GO TO THEIR WEBSITE by typing the address into the address bar and check yourself, or call them. If it is a scam email, clicking on that link will 99.999% of the time download a nasty virus/malware that you’ll never be aware of until it’s too late. Tried numerous times to convince my former partner of this but he didn’t listen and clicked on a link in a fraudulent FedEx email. The worm virus that resulted literally killed the entire operating system and eventually the hardware failed in a computer less than one year old. Two other computers I’d sent emails with attachments from that one got the virus too when those attachments were opened. Be warned. I received a letter from the IRS stating that they received a 1040EZ for mine and my husband’s social security numbers and they wanted to verify our identity before processing the return. We had not filed our taxes yet and the number on the letter kept stating that due to high call volume we would have to call back. I was able to get a different IRS number, and sure enough someone used both mine and my husband’s social security numbers to file a tax return. If this happens to you, please make sure you get a hold of the IRS and take the steps they give you to get this rectified. We also had to notify the credit bureaus to put a 90 day alert, file a police report, notify SS Admin, notify Federal Trade Commission and now need to add a 14039 form when we do file our taxes.